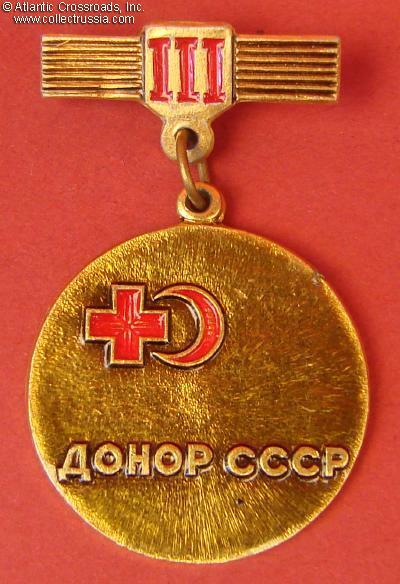 Blood Donor, 3rd cl, 1960s - 70s. Blood Donor, 3rd cl, 1960s - 70s. / Borisov, "Badges of the Soviet Armed Forces", fig. 114/. 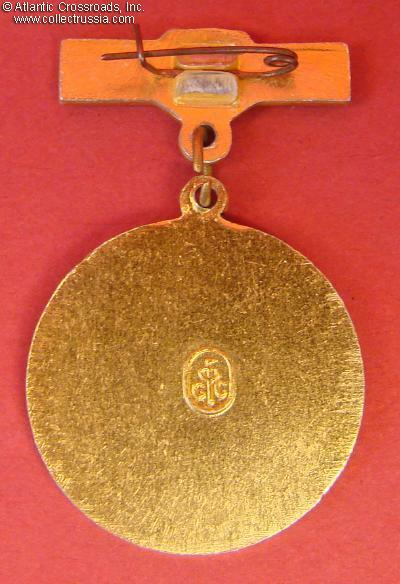 In aluminum and paint; small bronze-colored medal, shows red cross and crescent emblem and Roman numeral "III" on suspension device. Maker marked. Excellent condition. 38mm overall from top to bottom including hanger and medallion.